Duminda Silva had been ordered to be produced in court following a report given by a panel of doctors of the Colombo National Hospital. Colombo Additional Magistrate Ranga Dissanayake directed the Prisons Department to produce Silva before Court. Examining the suspect's health condition, a panel of consultants in their report said that there was no obstacle to produce the suspect before court. 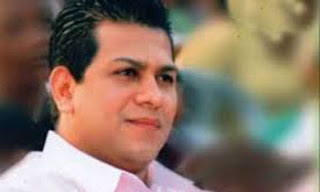 Earlier the court directed the Prisons Department to produce suspect Duminda Silva before Colombo National Hospital to examine his health condition under a special panel of doctors as to confirm suspect's inability of appearing before court due to his illness. The suspect was not produced before court by the Prisons Officers earlier for the ongoing three bribery cases over the charges of not declaring his assets and liabilities for three years. The Bribery Commission had named Parliament Deputy Secretary General P.M. Neil Parakrama and several others as witnesses. Senior Counsel Anuja Premaratne appeared for the defence.